Within every musician’s career is their pure potential. But how do you know it will happen? The last thing you want to do is leave it up to chance. The last thing you want to do is be in the river without a paddle or up the mountain without a backpack. The music industry is a very complex business and it’s easy to make mistakes that will easily take years off of your climb ~ or decades if you’re not careful. Having a successful career is not just luck. It’s having the foresight and wisdom to know if the decisions you’re making are the right ones. It’s not setting out in uncharted waters without a thorough plan. 1. Change Your Inner Dialogue. The reason resolutions don’t stick is because you try to change the outside without changing the inside. The key to your future success is an inside game. If you can’t seem to change your mind or make a change in life, the key will be held in the subconscious mind. Expert coach John Burr says that “Approx. 95% of our life is directed by our subconscious mind (we do not possess the capability to direct our life from our conscious mind. )” The subconscious mind can be programmed, like a computer to direct our lives thereby creating the life of our dreams. Start by giving directions like “I’m looking forward to a successful year”; “I’m going to make the right connections for my music this year”; “I’m ready to take my music to a new level”, etc. Whatever you know you need ~ SAY IT. Out loud. Every day. With conviction. And remember, you are directing your subconscious to follow marching orders. Try it as an experiment. See if you get results! 2. You Can’t Get to Where You Want to Go, Without a Map. Seems like an obvious thing, yet the music business is an incredibly complex and diverse place. There is no map. It’s hard to make sense of. And, because it’s pretty much still a closed-door business, you don’t get access to those opportunities that are exclusive to the industry. You’re on the outside until you are invited in — and it’s really easy to get frustrated and overwhelmed. That’s why we teach the steps. There’s an order to it. To help you understand what happens when, and how to build your career, make connections and get your music heard and in the right hands. The more time researching and planning you can carve out ~ the better. 3. Spend Ample Time Brainstorming & Brain-dumping. Most people are so busy in their lives trying to make things happen and keep afloat that they barely have time to think, let alone plan. However, a strategy Mama uses that has brought success in her life is — every time “when things get tough, make a pla-a-a-a-a-an.” And not just an hour — weekends, weeks, many hours until you’ve got a real plan – one that can take you somewhere. And that might mean consulting with coaches, talking to artists further up the ladder than you. Carving out ample time – over months to put your plan together. But whatever you do, spend time on this!! 4. Don’t Stop Thinking BIG. So there’s the rubber-band theory. If you think big you create a momentum to your goal. Like a rubber band, the stretch creates momentum. If you set your goal too low, you won’t have enough energy to catapult yourself forward. If you’ve been in the industry for awhile you tend toward burn out. Maybe you start lowering your expectation. You stop dreaming big. It seems foolish to – dream big. Understandable because you don’t want to disappoint yourself. You try to write a “hit” + “second guess” yourself because you start getting desperate. But that is #certaindeath. But go back and think about why you started doing music in the first place. 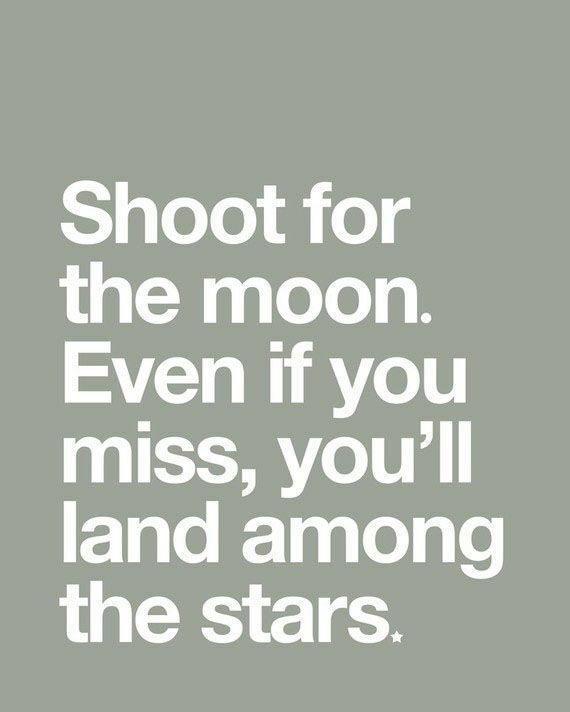 Then set your sights for what you really want. And it may have changed since you started – that’s probable. But capture the truth about WHY you make music. Nothing great was created in the safe zone. You have to take risks to get what you want because what you want is outside your comfort zone. My best advice here is to think about what you fear, what scares you, and not only cop to it, stare it down. The way to your freedom is to conquer fear. One step at a time. Make a plan. This is a HUGE one. You can’t do everything ~ it’s virtually impossible. Every time a new trend starts up, everyone adds that to their task list and pretty soon no one can keep up. It’s important to pay attention to trends that are happening, but not to move towards that trend if it’s not in your wheelhouse or not right for your music. Smart artists prioritize the most important direction for their music and their resources.